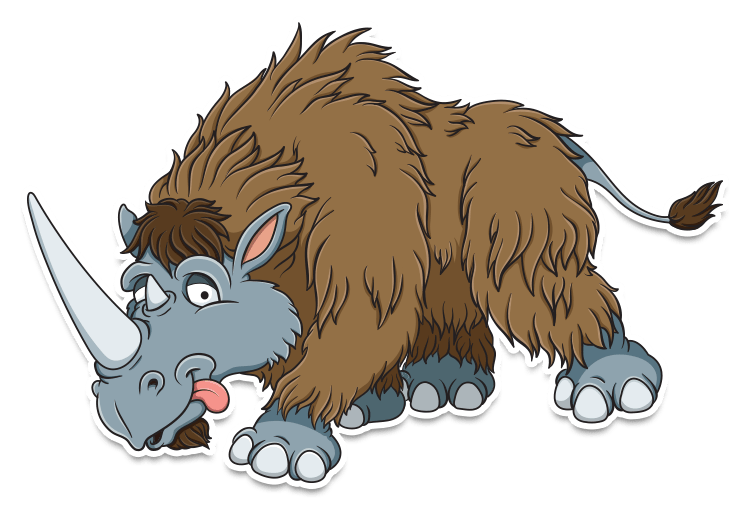 Prehistoric animals | A collection of cartoon creatures from the Prehistoric! You’ve probably already seen my cartoon Woolly Mammoth and Sabre-tooth tiger, but have you seen any of my other recent prehistoric animals? These were great fun to do – take a look below for yourself! This was my first real encounter with this critter – Ceratogaulus was basically a prehistoric rodent with a pair of small horns jutting out of it’s nose. I’m not sure on exact food he would have eaten, but the thought of him throttling a cartoon worm was too good an opportunity to pass up. Just to complete this composition, and because he’s rather small, I chose to place him on a set of small boulders. Another childhood favourite of mine is the armadillo-like glyptodon. A hairy mammal with a solid, egg-like shell and thick spikey tail – reminds me of a pineapple! This particular cartoon Glyptodon has a cheeky offspring riding on his back! I experimented a little here also with the scaley shell pattern – creating a swatch and then repeating across the shell. This character was immense fun to do, with all of his fur and oversized features allowed for a lot of scope as a cartoon! I wanted a stark contrast between the body and the face/limbs, so as with the mammoth, I opted for a pale grey. I then had fun with a custom brush to make the hair look extra shaggy. Prehistoric horses were very different to those we have today. For starters, they were only about the size of your average domestic dog! As they are only small, I thought I’d have a pair of them playing together, racing through some foliage. The most unusual thing I think about the prehistoric horses is that they had toes instead of hooves – those came later! You may have heard the phrase used in Jurassic Park about the Velociraptor being a six-foot turkey? Well, Paraphysornis was exactly this… and then some! Literally a massive beak on legs, this prehistoric bird chased smaller mammals around Brazil some 23 million years ago. This one is pictured chasing a rather terrified prehistoric horse for his dinner! What do you think of these cartoon Prehistoric animals? 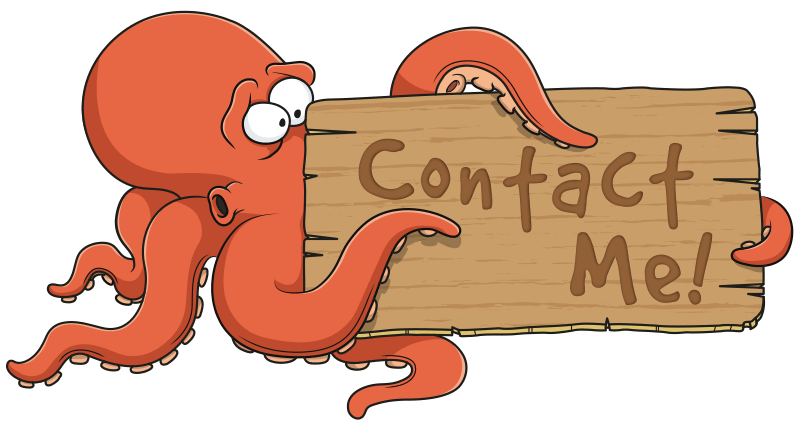 I’d be interested in hearing your thoughts on these cartoon critters and if you’d like some of yuor own, please get in touch!